MOUNTAIN VIEW – A new NASA initiative is embracing a team approach to the problem of finding life on planets around other stars. Termed NExSS (Nexus for Exoplanet System Science), this virtual institute will benefit from the expertise of several dozen scientists in the effort to find clues to life on far-away worlds. “One major thrust of the exoplanet community has been to find worlds orbiting in the so-called habitable zone,” notes Imanaka. “That’s the range of distances from a star where a planet could have temperatures permitting liquid oceans. The study of planets around other stars – so-called exoplanets – is a relatively new field. Since the launch of NASA’s Kepler space telescope six years ago, thousands of exoplanet candidates have been found, and it’s this sudden storm of new worlds that has prompted efforts to learn if any exhibit clues to the presence of biology, such as oxygen or methane in their atmospheres. Discovering exoplanets has largely been the work of astronomers, but it’s planetary scientists and astrobiologists who have the expertise to characterize planetary environments and examine them for biology. The intention of NExSS is to bring practitioners of these multiple disciplines together so they can collaborate on efforts to not simply find exoplanets, but see if any are home to life. Imanaka and his colleagues have investigated one world that might give useful clues in this endeavor: Titan, Saturn’s largest moon. But is Titan really a good analog for a life-bearing world? 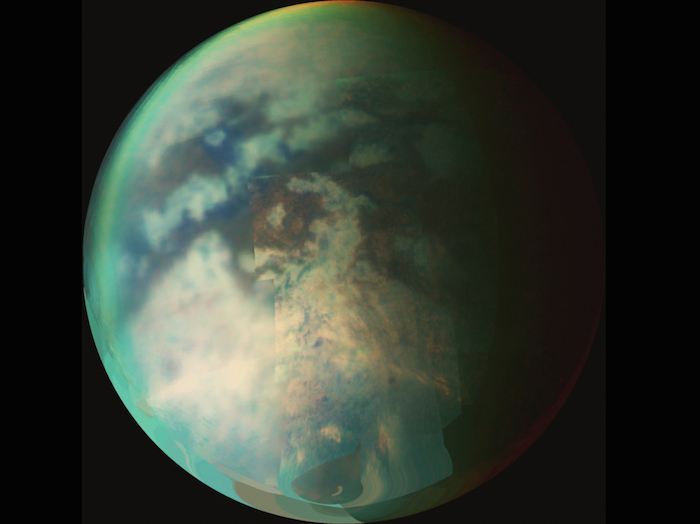 “It’s possible that Titan could have life,” says Imanaka. “I’m not going to say ‘no’. But what’s certain is that Titan can teach us about a pre-biotic world, as it’s producing the most complex organic compounds known beyond Earth. And thanks to its exceedingly low temperatures, all the chemical reactions on Titan are sluggish. It’s a slow-motion world, and that’s why it can tell us about the conditions on the early Earth – and maybe on some exoplanets, too.